Disclosure: This post was sponsored by Scrubbing Bubbles® and SC Johnson. As Moms we are all aware that both cleaning and comedy go hand in hand. 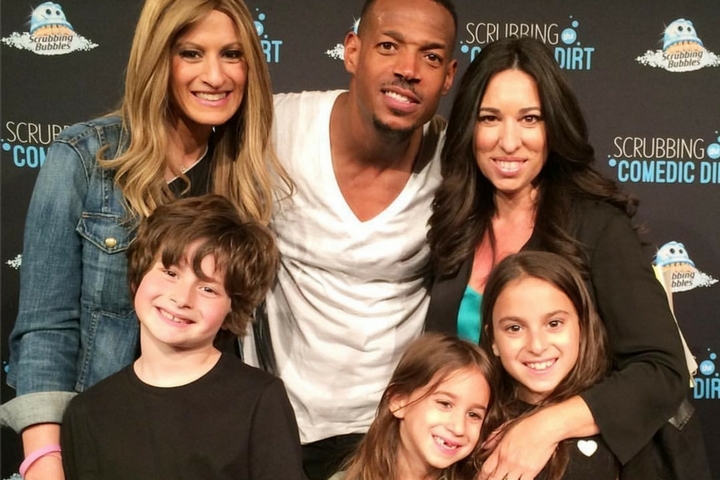 We’ve shared those moments that make us go “Ugh” with you before and not too long ago we were invited by Scrubbing Bubbles® to spend the afternoon at New York City’s iconic Gotham Comedy Club for an exclusive comedic event with Marlon Wayans! His performance focused on those surprising, yet amusing moments he experienced both growing up and as a father. Upon arrival guests were invited to a pre-reception down in the Scrubbing Bubbles® lounge where the kiddos got in on the act and fellow moms shared their utmost hilarious “Ugh” moments with one another. Do we spy future comedians in the room? Guests were then brought to the main stage where Marlon brought a full supply of giggles and delivered laughter for all! We laughed out loud, because who doesn’t love a good joke? We cried, because we were laughing so hard. To be able to laugh along with Marlon with our kids by our sides was a great bonus. Both Marlon & Scrubbing Bubbles® delivered a comedic sketch that was genuinely hilarious and appropriate for all ages, proving that Scrubbing Bubbles® can clean even the toughest of jobs. Laughter is the best medicine and lucky for you we’ve got it on tape! Check out the highlights from Marlon’s Scrubbing Bubbles® routine below! The MOMS & Chevy Tri-State hosted an Equity Mamarazzi® event with the film’s cast including, Alysia Reiner from Orange Is The New Black, Anna Gunn from Breaking Bad, Sarah Megan Thomas and writer Amy Fox at the Crosby Street Hotel. Guests from the tri-state area enjoyed a special screening of the film followed by a talkback with the cast and crew! 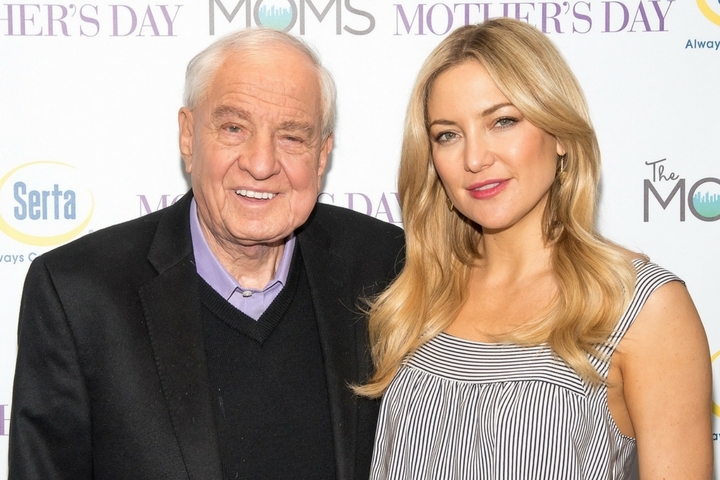 The MOMS & Serta hosted a MAMARAZZI® event with Kate Hudson and Garry Marshall for his latest film Mother’s Day which opens in theaters TODAY! Guests enjoyed a comfy morning with Serta learning about Serta’s latest iComfort models that feature Serta’s EverFeel® Triple Effects™ Gel Memory Foam, an advanced material infused with millions of gel beads that responds to the body’s individual needs for comfort, support and temperature regulation. Sounds like a dream and feels like one too! Take a look at special MOMents that were captured at this event! Click the links below and visit The MOMS on YouTube for even MORE highlights from this extra special MOMS Mamarazzi® event! The MOMS, Kmart & Peter Pan Simply Ground Peanut Butter hosted a MAMARAZZI® with Actress Susan Sarandon, Actress Rose Byrne, Writer/Director Lorene Scafaria and Producer Joy Gorman Wettels for Sony Classics The Meddler opening Friday, April 25th! Our #MeddlerMOMS celebrated all things motherhood as they spent the morning shopping their way with Kmart and shaking up some #SimplyGroundAdventures with Peter Pan Simply Ground Peanut Butter! Take a look at some special MOMents captured at this MAMARAZZI® event! The MOMS were on Pix11 Morning News sharing their MOMmentary on the new family film “Miracles from Heaven” which tells the story of a family searching for answers for their daughter’s rare disease and miraculous recovery. The MOMS held a MAMARAZZI® event with Good Housekeeping and AriZona Beverages where they held a conversation with Jennifer Garner and discussed the impact her role had on her approach to faith and family. The MOMS, Good Housekeeping and Arizona Beverages hosted a MAMARAZZI® event with Jennifer Garner for her latest film, Miracles from Heaven. Take a look at some special MOMents captured at this MAMARAZZI® event. Lucy Liu did not hold back during this MAMARAZZI® talkback and we’ve gathered and shared her wisest words for you! Watch this MAMARAZZI® MOMmentary Media Highlight Reel you won’t be disappointed! This video was shot during The MOMS MAMARAZZI® with Lucy Liu, Kate Hudson, Lynx fitness & Chevy Tri-State for DreamWorks Animation’s Kung Fu Panda 3. The MOMS and Secrets Resorts & Spas hosted a MAMARAZZI® luncheon event with Hoda Kotb at the Hunt & Fish Club to celebrate the release of her latest book “Where We Belong”. Take a looks at some MOMents captured at this MAMARAZZI® event! Looking for more?! 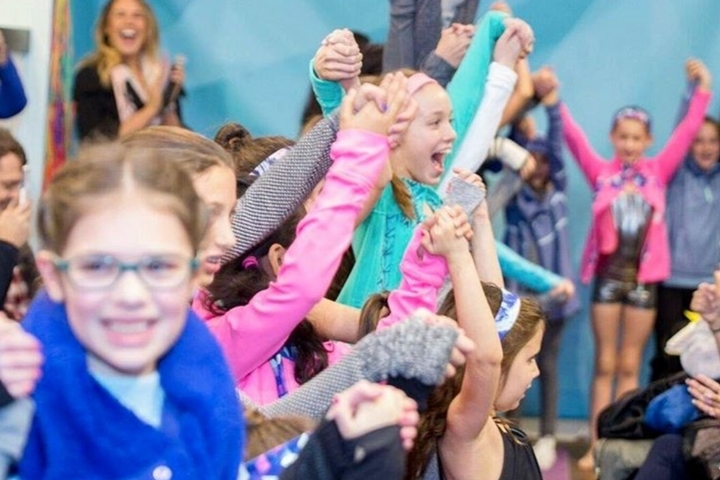 Take a look at even more special MOMents captured at this MAMARAZZI® event below! The MOMS hosted a MAMARAZZI® event with Alicia Vikander for the film The Danish Girl! Take a look at a highlight reel from this MAMARAZZI® event and hear what The MOMS discovered during the Q&A portion of their event below! The MOMS hosted a MAMARAZZI® Fashion Show event celebrating the opening of ivivva Union Square ! Where girls ages 4-15 walked the catwalk in their favorite pieces from ivivva’s newest collection! Find out what pieces were chose by watching the video below! The MOMS and PS from Aeropostale hosted a MAMARAZZI® event with Taye Diggs for his latest children’s book “Mixed Me” which is a charming story about a day in the life of a mixed-race child. Taye Diggs read the story aloud to our guests along with his partner in crime and illustrator of the book Shane W. Evans. The MOMS hosted a MAMARAZZI® event with Cold-EEZE at the Park Ave Screening Room for Roadside Attractions latest film Miss You Already with Toni Collette and Jaqueline Bisset! The MOMS hosted a MAMARAZZI® with SalmaHayek atDolby 88 for her new film The Prophet with Plaque HD and Funoogles check out great MOMents from The MOMS MAMARAZZI® below! "It's A (Not So) Hard Knock Life" with The MOMS & Norwegian Cruise Line!